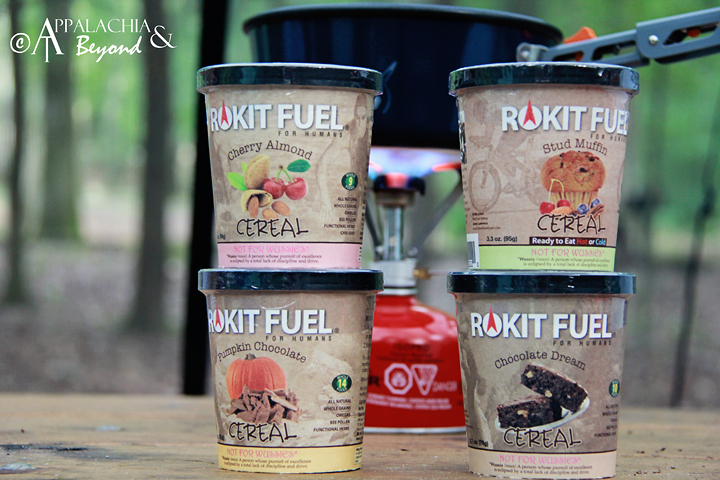 Just yesterday we reviewed Rokit Fuel Oatmeal. Now that we have your taste buds all fired up and ready to go, here's your chance to try these awesome all natural oatmeals for yourself. One lucky reader of Appalachia & Beyond will receive a four pack of single serve Rokit Fuel Oatmeal. This four pack contains one of each flavor we reviewed: Cherry Almond, Stud Muffin, Pumpkin Chocolate, and Chocolate Dream. How do you get in on this action? Simple, just use the Rafflecopter widget below to enter. It is mandatory to leave a comment in order to enter and unlock all the other extra entry options. If your on a smart phone and don't see the comment form, the it would appear that our Disqus comment platform isn't working on your phone's browser. If this is the case be sure to get to a computer and get entered. Also if you are one of those who can't leave a comment on our Disqus comment platform, let us know so we can research what's going on with that. So here's the other info: The contest will run from 12:01am EST Tuesday, December 4, 2012 and will close at 11:59pm EST Saturday, December 8, 2012. We will pick a winner soon after the giveaway closes and will announce the winner on our Facebook page as well as on the Rafflecopter widget. So without further ado...good luck to you all.